If you have trouble sleeping in the day as there is too much light coming into your room, or you want to make the room darker so your child can sleep, then using blackout curtains is the ideal solution for this problem. But you do need to select the curtains carefully, as many of the lower cost ones are very poorly made and look as such too. You can also buy blackout curtains that do more than just keep the light out. Thermal blackout curtains will also help to keep the heat out if you live in a warm country, and the warmth in if you are living in a cold country and you use the central heating or you want the warmth from the fire to stay in your home. It is definitely worth paying that little bit extra to get some thermal blackout curtains, as they offer significant benefits. 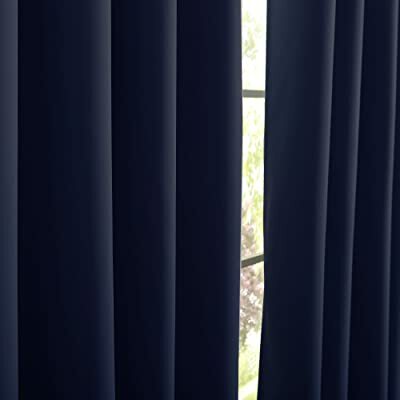 The popularity of blackout curtains has increased rapidly over the last few years. This has been a good thing for the consumer as you now have a lot more choice, better quality and also more affordable prices. The technology used to design blackout curtains has also advanced quickly, so the effectiveness of them now is very high, both for their light reflecting and thermal qualities. How do energy saving curtains work? Why are Eclipse blackout curtains so effective? If you wanted a curtain purely for blocking out the light, then you do not need to worry about the thermal aspect that some of these curtains come with. A blackout curtain will be slightly cheaper than a thermal blackout curtain, but you will not get the same ability to either reflect the heat from coming in the room, or keep the heat in the room if it is cold outside. A good quality blackout curtain may also provide you with noise reduction too. So if you live in a noisy road and you often get disturbed by the noise outside, then it is worth finding out about this too. But the better blackout curtains will do a really effective job of keeping the light out of your room, even when the sun is blazing down on your window. The rise in fuel prices and energy bills in general are a cause for concern, and something that every home owner needs to be aware of and do what they can to reduce these costs. There are many ways you can reduce your annual energy bills, and having energy saving curtains fitted throughout your home is one very effective way of doing this. There are a lot of different types of energy saving curtains available these days, a lot of the bigger manufacturers have quite an extensive range of them due to their increasing popularity. As the demand has grown for these types of curtains we have seen the prices even out as the marketplace became more competitive and all the manufacturers were looking to get their piece of this growing market. Also, when it comes to style you will find a wide range of colors and styles available. Your curtains will always be one of the main focal points of any room they are in, so it is important that you have good looking curtains that do their bit to enhance the overall look and feel of the room. So you will find energy saving curtains in many different styles too. So what are energy saving curtains, and how do they work? The main benefits of these kinds of curtains are their thermal qualities, and their ability to black out the light. They are usually thicker in design, and have special linings so they are able to either retain heat in colder climates, or stop the cooled air from escaping if you are in a warmer climate. A lot of your heated or cooled air can escape through your windows. So having these thermal curtains in place will act as a barrier and stop the air from escaping. This way you can ease down on the heating in the winter, and ease down on the air conditioning in the summer. The energy you can conserve with curtains like this is significant, as are the savings to your energy bills. If you do not want to add energy saving curtains to every room in your home, you should choose the rooms where you spend the most time and where most of the heat or cooled air can escape. The bedroom and living room are the obvious ones, but you may also want some in the conservatory or in your kid’s rooms too. 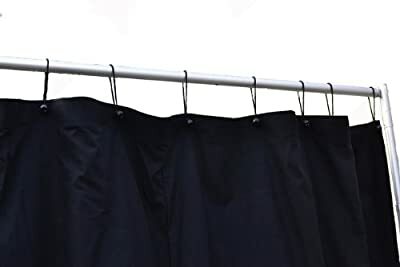 It is worth you spending that little bit extra to buy some good quality thermal blackout curtains, as they will do their job that much more effectively. The little extra you spend initially will soon be recouped from the savings you make in your energy bills. But even good quality energy saving curtains can be purchased at a reasonable price, you will not have to break the bank to get yourself a good quality set. One of the most well known brands that sell good quality blackout curtains is Eclipse. They specialize in home décor and use advanced technology to stay ahead of the curve and produce products that really have a lot of innovation behind them. The Eclipse blackout curtains are designed to give you the quality and stylish look you desire in your home, while the technology and innovative design features give you the technical benefits too. They are very good at what they do, all Eclipse blackout curtains provide you with the best in quality and style. There are a number of major brands that make blackout curtains, which is a good thing for the consumer as it provides healthy competition which in turn keeps the quality high and the costs competitive. When you go looking for things like blackout curtains, you are going to want them to last a long time, and also to do their job of keeping the light out effectively. So it is important to rely on the experience and knowledge that a company such as Eclipse has in this field to ensure that you get the best quality for the money you spend. These are impressive facts, but they are also what Eclipse blackout curtains will provide for you. They use advanced technology and innovative design methods to help enhance all of the properties mentioned, so you do really get a lot of benefit out of these curtains. Eclipse does a lot of research into what materials work best in each situation, and then how to best put them all together to get the best results possible. The research techniques are advanced, as is their ability to create the best configuration and design patterns for their curtains to obtain the best results. With all of the technical design features doing their work behind the scenes, Eclipse has then focused on the aesthetical side of the curtains to produce some really stylish designs and a color range to suite any home décor. It is this attention to detail that makes Eclipse blackout curtains so effective and an attractive addition to any home at the same time. When looking for your new set of curtains, the style and color of the curtains will also be important for you. This is why Eclipse has such an extensive range of blackout curtains for you to choose from. You can determine the length of the curtains you need, so if you want a set that comes all the way down to the floor, or a set that stops at the window sill then you will be able to find them in the Eclipse range. The colors that Eclipse provides their curtains in are also quite extensive too. You should be able to match the curtains up perfectly with the décor in your home. The price of Eclipse blackout curtains is also very affordable. Considering the amount of technology that has gone into the design, and the benefits they can provide for you, they are very reasonable priced indeed. Some people, especially kids love to have their bedrooms very bright and colorful. So a bright colored pair of curtains is often a popular request from kids. Girls especially like pink, and getting some pink blackout curtains for your daughter’s bedroom will not only keep her happy, but also have that added benefit of being able to keep the light out of the room when drawn, and also use their thermal qualities too. It is not just the kids that like to have pink blackout curtains in their rooms. You can get some very stylish and elegant room darkening curtains to go in the living room and dining room that can certainly enhance the look and feel of the room. 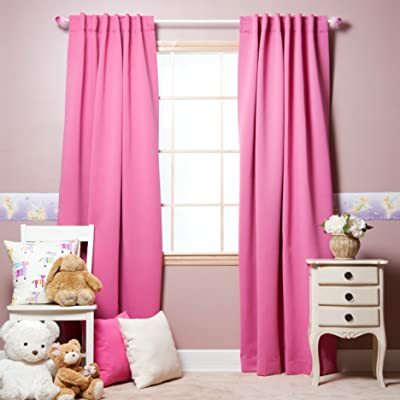 If you have a color scheme where pink curtains will fit in perfectly, then you will find a lot of different pink curtains that you could use in your home like Tadpoles Micro-Suede Grommet Top Curtain Panel in Pink. 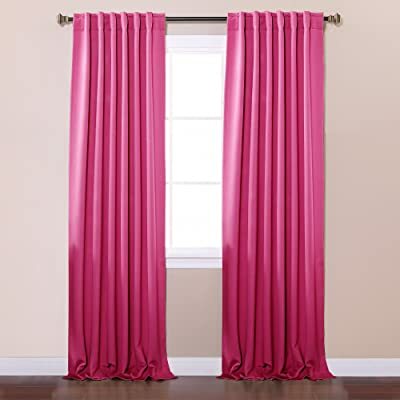 There are many different shades of pink that you can get your curtains made in too. If you wanted to make the curtains a main feature of your room then you can opt for a really string and bright colored pink. But if you wanted a more subtle approach then you can get some lighter and softer colored curtains to use. The best way to decide is to look online at the different types and shades of pink blackout curtains that are available and see what you think will go best with the current décor in the room where you intend to put them. You will often get some great ideas of the exact type of curtains you want to use just by looking at the different styles and colors of curtains available. Creating a nursery for your child is a joyous experience, and you want your child to be happy and comfortable in this environment. If you have a baby daughter, then pink will likely be a prominent color to use, and pink nursery blackout curtains will be the ideal choice to use in the nursery. You want the room to be nice and bright when it needs to be, but when it is time for your daughter to sleep, then you need to block out the external light. The color pink is a bright and happy color, and this will subconsciously register with your child and help them feel happier and more comfortable when in the room. Creating the ideal environment for your child is very important and of course having a happy child is what you want also. So the color scheme of the nursery can really play a very important role in creating this atmosphere for them. The internet is the best place to find the widest range of pink blackout curtains. Large online stores such as Amazon.com will have a very wide range for you to look at, and you will often see that prices are cheaper on stores like Amazon than they are in your local curtain store. By looking at the many different curtains they have on offer, you will often get some really good ideas for curtains that would go perfectly in their intended room. Despite their name, stage curtains can, and often are used for different situations in the home and also in an office and school environment at times too. They can be made to size, and most of them are usually a nice thick material, so they will block out light and add the thermal aspect that is very important with home curtains. If you have a projector screen at home, and even a projector or screening room and you need to be able to block out the light, then a pair of home stage curtains are the ideal solution. They come in many different designs too, so you can have them for more of a practical purpose, and you can also use them as a means of enhancing the look and feel of your room. If you are looking for stage curtains to use in your home, then you will want to look for a set that can be taken down easily enough and cleaned when required. Obviously you will not need to do this very often, but when the time does arise that they do need a good clean, then they should be able to be taken down from their rails and then put up again once cleaned without causing you too many problems. You will find stage curtains in a number of different materials, and it really depends on how thick you want and need to have the curtains. If you want to get a really good quality set, then you can look at some of the velvet curtains or even Pipe and Drape Backdrop Package 8′t X 14′w Black Fabric. These will be very heavy, and will cost a bit more than other lighter stage curtains, but you are paying for the quality material, and they should last you a very long time. If you just need a lighter and more cost effective pair, then you can find some synthetic fabrics that can be made into very attractive stage curtains. Microfiber suede and velour are just two different fabrics that can be used for these curtains. You will find many different styles and colors in these fabrics, so you should be able to find something that matches your requirements perfectly. You can find stage curtains in many different colors. Finding different shades amongst the various collections you will see in the stores and online is fairly easy to do. So you can either get the curtains to blend in with the current décor in your home, or to stand out against the other colors you have. The ‘fullness’ of a stage curtain refers to the number of pleats it has in the design. A curtain with 100% fullness has more pleats than a curtain that on has 50%. So this will also be something else you may want to consider when you are looking at the stage curtains available. With many different types of stage curtains available, you should be able to find something that matches up with your budget and style preference. Due to their nature, stage curtains are usually very big, and they can be very heavy, so you need to make sure you have ample support in the rail you use to hold the curtains up. If you have children then you will fully understand the importance of them having a good night’s sleep each night. When children are younger too, their sleep pattern extends to the daylight hours too, as they need their daytime naps. To aid their daytime sleep, the use of kids blackout curtains is certainly a good idea if you cannot get the room dark enough for your child to have a decent sleep during the day. When looking at kids blackout curtains, you may want to look at some that have a thermal aspect to them as well, as it will be important to control the temperature in the room too. You will find that if you keep the thermal curtains closed during the day too, it will really help to keep the room a few degrees cooler if it is really hot outside, or on the flip side they can help keep the room warm if it is cold. You may want to get some themed curtains for your kids too, with their favorite colors and animals on them. You will be able to find a wide choice of blackout curtains for kids that will suit all tastes for both boys and girls. Of course you will be looking at the technical aspects of the curtains, and the patterns and colors will be for the benefits of the kids. The quality of the kids blackout curtains you buy will be very important. You are buying them for a specific purpose, to keep your children’s room darker during the daytime, and also to keep the room at the right temperature too if you are looking to get thermal blackout curtains. Look at the quality of the materials used in the curtains and make sure they are of a quality that will last. You can buy some cheaper curtains, but these will probably not last you very long and will not create the darkened room and provide the thermal aspects you are looking for. For the sake of a few extra dollars, it is definitely worth buying the kids blackout curtains in a good quality material so you know they will last and do their designed job well. They are not that expensive anyway, even for a really good quality set of curtains. Paying a little bit extra to get a few years use out of them is definitely worthwhile. If you are happy with the design of your current curtains, but you need them to eliminate a lot of the light that they let into the room during the day, then you can actually buy blackout curtain liners. These will coincide with your current curtains and give you that blackout element, without you having to going to the lengths of changing the curtains completely. The beauty about using blackout curtain liners is that you do not have to compromise any of the look or feel of your room that you want to put them in. They will sit behind the curtain out of site for anyone sitting in the room, and they do a very effective job of keeping the light out of your room when you require this. These blackout curtain liners are not just ideal for the home, but you can also use them in an office too. If you have a conference room that needs to be darkened out sometimes where there is a presentation going on, then this is an ideal option for you. Much cheaper than buying the actual blackout curtains themselves, you will not have to spend much to get a good quality liner fitted. One of the most ideal times to use blackout curtain liners is if you have a new born or a young child that needs to have their sleep during the day. You certainly do not want anything to wake your child when they have their regular sleeps, so using a blackout liner will give them the relief they need from the bright sunshine coming through the window and allow them to sleep uninterrupted. Many people work at night too, and for them sleeping through the day can be a real challenge at times. Using blackout curtain liners is an easy and affordable option to keep the light out of your room so you can get some better quality sleep during the lighter day time hours. If you want to just buy the liner material yourself and make the blackout liner for your curtains, you can actually buy the material by the yard. This is a cost effective way of doing it, but of course you need to have the know-how of making the liners to size and then adding them to the curtains. You can of course buy the liners readymade. You will just need to measure up the curtains that you want to use them with in your home and buy them to size accordingly. This is the easiest way, and you can still buy them very cheaply when they are already made too. 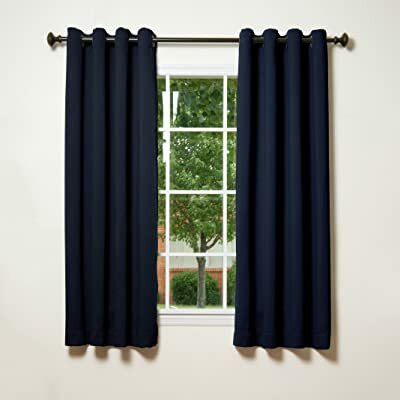 If you are going to buy the blackout curtain liners already made to size, then they will be very easy to fit, Many already have the curtain rings made into the tops of the liners, so you just need to add them to the curtain rail behind your current curtains. This is very quick and easy to do, and once fitted you should not be able to see them from inside the room. 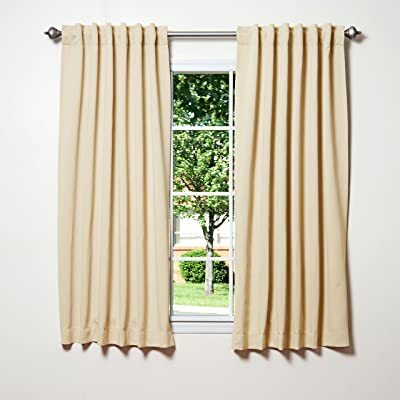 If you just plan on buying the material to make the liners yourself then you will need to either sew in the curtain rings so they can be hung behind your current curtains, or you can actually attach them to the backs of your curtains that you have now, so they do not have to be independently hung. This will take a bit more technical knowledge and know-how to get it done properly. When looking for the best blackout curtains for your home there are a few things you should consider before making a final decision. Choosing the right color to match the existing décor in your home, or to stand out more so the curtains become more of a feature will be one of the first things to think about. You also need to think about the materials used to make the curtains you buy. You can save a few dollars and buy a set with much lighter and cheaper material, but these are not going to last you as long as a slightly more expensive set, and they will not work as well at blocking the light out either. You can also get some curtains made up to your own requirements if you cannot find anything off the shelf that matches your needs exactly. Doing this will likely cost you a bit more money, but you may feel it is worth it to get the ideal set of curtains to meet your needs. Choosing the right brand can be one of the most important parts of the process in finding the best blackout curtains for your home. Approach different brands and tell them exactly what you are looking for and see what they already have to offer, or what suggestions they can give you. A good company with a lot of knowledge and experience in the curtain market will often be able to build on your ideas and maybe give you some even better ideas to ponder. Do not be afraid to ask them a lot of questions and seek out their knowledge, as you can often get a lot more ideas about which curtains you should end up getting for your home. For many consumers it is natural to want to hunt down that bargain of the season and be happy with ourselves when we manage to find something significantly cheaper than a lot of other comparable products. But when looking for the best blackout curtains for your home or workplace, then going for the lower end of the market is not the best thing to do. When you buy a set of blackout curtains you are going to want to get a good few years use out of them. This is very achievable when you buy good quality. But cheaper curtains that do not use quality materials will not last as long. Plus they will not block out the light as well as the thicker, more expensive curtains. Blackout curtains also have a thermal quality to them too. So if it is cold outside and you have the heating on, a good set of blackout curtains will help keep a high percentage of the warm air in the house. And vice-versa for a hot day when you have the air conditioning on, the curtains will keep the hot air out and the cooler air in the room. These additional elements can help you save money of your energy bills, and will certainly add up to a significant saving over the years. So spending a bit extra to find the best blackout curtains for your home is worth doing. Many places have blackout curtains for sale these days due to their popularity now. While it will not be hard finding a lot of different types of these curtains, you should make sure that you are getting good enough quality so that they do their job properly, and will also last for a long time too. If you are going to spend that little bit extra for curtains like these you want them to last you a few years at least. Looking on the internet is a great place to find many different types of good quality blackout curtains. Amazon has a lot of good options to look at, and many of them are very reasonably priced too. You will be able to find a good range of colors and styles, and look out for the discount pricing options that Amazon often has too.